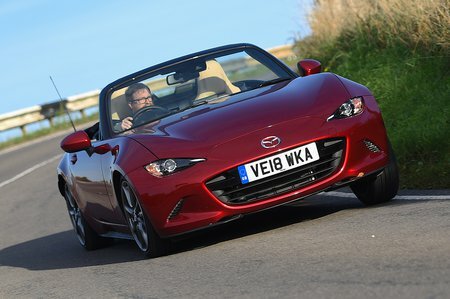 Mazda MX-5 Sport Nav+ Review and Deals 2019 | What Car? Over SE-L Nav+ you get rear parking sensors, auto lights and wipers, leather seats, a Bose stereo and adaptive LED headlights. You also get extra safety kit; emergency automatic braking in both forwards and reverse, lane departure warning and a driver attention alert. 2.0-litre models get 17in alloy wheels, sports suspension, a strut brace and a limited-slip differential.